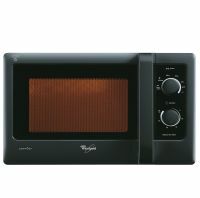 6 pre-programmed magic menus for quick meals at the touch of a button.There are 118 Auto Cook Menus in this miocrowave. This oven has the unique feature of Double Grill Mechanism in which there is a Micro-chip controlled Quartz Heater along with Sheath Heater for quick grilling and even browning. With 245 mm larger turntable, you can cook large quantity of food items, or reheat multiple food pots with ease in one go.This Magicook microwave oven is pre-programmed with 3 Automatic Cooking sequences. You can now choose different combi cooking modes to cook your favourite dishes. 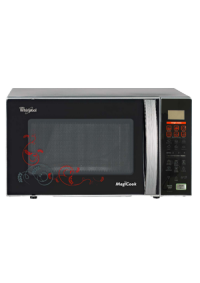 You can choose Microwave + Convection mode, Microwave + Grill mode, Grill + Convection mode to cook the dish of your choice. 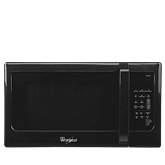 To Recieve updates and possible rewards for Whirlpool Magicook Elite-B (20 Ltr) please sign in. To Recieve updates and possible rewards for Microwave please sign in.